Continuing his ongoing practice to spotlight important new artists in Latin music, Juanes has extended an invitation to Spain’s fast-rising music and cultural innovator Rosalía for her Los Angeles concert debut with the September 5 opening performance slot at the Hollywood Bowl. 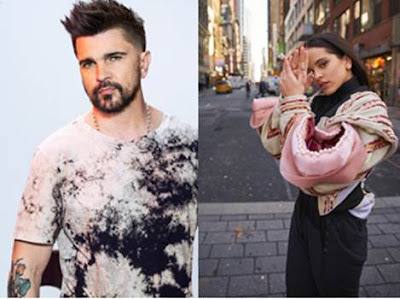 The invitation extends Juanes’ support of Rosalía after she also joined the Colombian star at his December 2017 concert in Madrid. The Barcelona-born singer is known for her inventive weaving of flamenco, hip-hop, and pop sounds, which has led to millions of audio and video streams, praise from NPR, The New York Times, Pitchfork, Vogue, Billboard, Stereogum, and more, as well as a 2017 Latin Grammy nomination for Best New Artist. The concert pairing will unite two revolutionary Latin fusion artists who have released some of this year’s most groundbreaking Latin music-video imagery. Rosalía’s “Malamente” and “Pienso en Tu Mirá” are the first two advance singles from her highly anticipated fall album "El Mal Querer," which she will present for the first time live in the United States at this concert performance. Rosalía also recently announced her feature film debut, as she will appear in Pedro Almodóvar’s upcoming Dolor y Gloria alongside Penélope Cruz. Tickets for the Hollywood Bowl’s 2018 summer season are available online at hollywoodbowl.com or via phone at (323)850-2000.